Why should you buy organic food? To sum it up in a simple phrase, organic food is great food. It tastes good, and it's nourishing. It's good for the environment, and it's good for the small-scale farmers who produce it. 1. Apples. 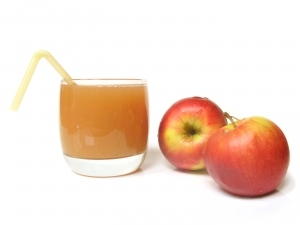 An apple a day keeps the doctor away, and the reason apples are so healthy is due to the quercetin in their skin. Quercetin is anti-allergenic, anti-inflammatory, and has anti-cancer potential. Pesticides, however, permeate the skin of the fruit. If you don't want to have to peel away the most phytonutrient-rich part of the plant to avoid consuming the pesticides and ripening agents used in commercial apple production, you need to buy organic. 2. Bell peppers. In Florida, where many bell peppers are grown, many farmers just are not able to get a crop without spraying for cut worms that otherwise would bite the plant in two at its base. The problem with the sprays is that they permeate soft skin of the pepper. You could, of course, singe your peppers New Mexico style to make an interesting roast pepper, but the burning off the skin only vaporizes any pesticides so that they permeate the tender flesh. And eating the pepper raw makes "skinning" the pepper really impractical. Organic bell peppers are more expensive and a little harder to find, but far better for your long-term health. 3. Blueberries. Few fruits are packed with more antioxidants than blueberries, and antioxidants are just part of their benefits. Like cranberries, blueberries contain complex sugars that won't run up your blood sugar levels, but that will keep germs from taking root in the lining of your urinary tract. 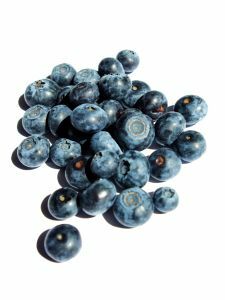 The problem with blueberries is that they are doused with methyl bromide, 1,3-dichloropropene, glycophosphate, paraquat, and even rubbing alcohol in the process of growing, harvesting, and shipping to the market. If you don't want these chemicals along with your antioxidants, buy organic. 4. Celery. Farmers often use sun protection to blanch celery, keeping stems soft and white. The blanching screens are a great home for various kinds of bugs, so the celery is sprayed with organophosphates, linked to ADHD in children. There is no way to wash organophosphates out of celery, so organic is preferable. 5. Coffee. 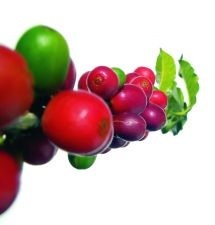 Hundreds of coffee workers in Colombia have died after exposure to Thiodan, a chemical used to kill coffee cherry borers. Many of the countries that export coffee do not have regulations against spraying coffee plants with Diazinon (used in the USA to kill fire ants) and Disulfoton, which can literally cause birds to fall out of the sky. The chemical methyl parathion is restricted in Colombia but permitted in Central America. All of these chemicals can and do cause long-term health problems for coffee workers and coffee drinkers, and it's always best to drink organic. 6. Grapes and wine. Vineyards are sprayed with fungicides several times during the growing season, and wines are often preserved with sulfites that can cause hives. Unless you intend to peel your grapes and make your own juice and wines, buy organic. 7. Peaches. This fuzzy fruit is treated with a battery of fungicides to make sure it has unblemished skin. 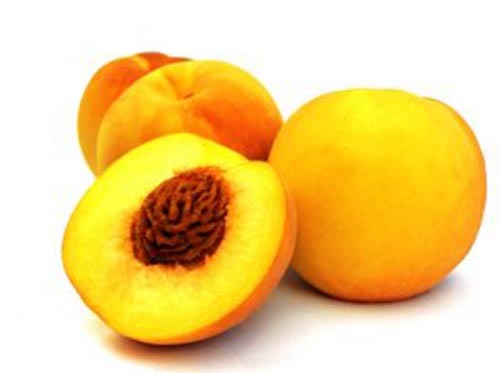 Generally speaking, the farther south the peach is grown, the more fungicides and pesticides are used to produce it. Peaches grown in the American state of Georgia test as having more contaminants than peaches grown in Michigan, for example. And organic peaches can be cross-contaminated if they are packed in facilities that also pack conventionally produced fruit. Your best bet is to buy directly from the peach farmer, whenever possible, buying from growers who have organic certification. 8. Meat and dairy. In chicken, beef, and pork, the problem is the antibiotics and estrogen they are given to put on weight quickly. These substances are concentrated in fat. If you can't buy organic, at least avoid fatty cuts of meat and chicken thighs. If you cannot afford organic milk, at least stick to low-fat or buy organic butter and yogurt. 9. Spinach. Spinach salads are delicious. Bugs think so, too. Spinach is one of the most heavily sprayed vegetable crops, and even organic spinach should be thoroughly washed before eating. 10. Strawberries. One of the paradoxical effects of conventional cultivation of strawberries is that this low-calorie berry can actually cause you to gain weight. 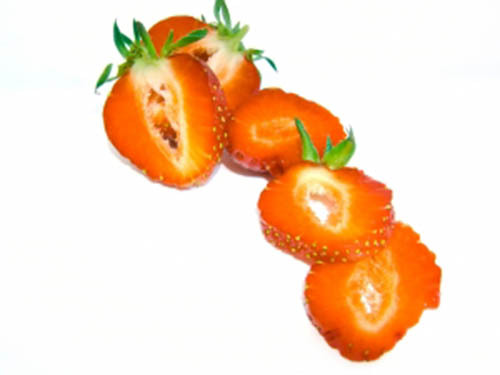 One of the common agents used in conventional strawberry production is methyl bromide, which interferes with the thyroid's ability to absorb iodine. If you have low thyroid hormone production, you pack on the belly fat. More than perhaps any other food, strawberries are especially important to buy from organic producers. Other foods that are better organic are potatoes and, interestingly, spices. Irradiated spices in particular are a bad bet--because their antioxidant content actually protects insects that get into their storage bins from the radiation. When you buy irradiated turmeric, for example, you get less of the antioxidant curcumin but no fewer bugs, because the insects acquire radiation resistance by eating the spice! In the United States, Canada, and Europe, even conventional farmers keep careful records of the chemicals they use to grow their crops. After all, chemicals are expensive, and no farmer wants to use any chemical that is not absolutely necessary. In the developing world, however, many farmers are told to use chemicals by their moneylenders without adequate protection for themselves, their families, or the food they produce. Organic certification is even more important for imported food than for food that is locally produced. When you buy organic, you can be assured you are reducing your body's burden of environmental toxins. You are supporting small farmers who, frankly, need your business. And you are supporting an environment with just a little less of a toxic burden. Organic foods are good for you, good for farmers, and good for the world. Buy organic whenever you can. Help! How to deal with fungicide poisoning? What is the exact role of the fungicides? Eating organic during pregnancy, should you make it a priority?